It’s 2019 and it’s already off to a great start! The beginning of a new year is always a good time to reflect on the successes of the past. In 2018 we surpassed $181 million in sales–making the last 12 months a record-breaking time in the life of Amanda Howard Sotheby’s International Realty. Especially fitting as we close our 9th year of being in operation, and are leaping into our 10th year that we plan to celebrate with all of you, our clients and friends. 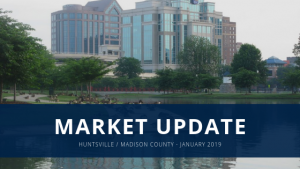 The Greater Huntsville area has experienced over 11.5% growth between 2010-2018. Based on the absorption rate and the population trends increasing, we can estimate about 25-30 people are moving to the area per day. Huntsville is now the 3rd largest city in the state of Alabama and is projected to surpass Birmingham within the next 5 years. Currently, only 57.9% of Huntsville residents are homeowners. Over the past year, The greater Huntsville area has allocated $4.1 billion to new developments. The substantial economic development projects are estimated to bring more than 6,000 new jobs to Huntsville/North Alabama. 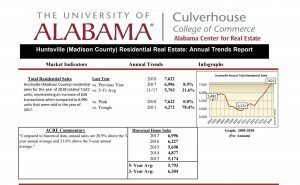 Among Huntsville’s evolving industry, we estimate our homes to continue appreciating in value and strengthening our housing market. With a strong economy, thriving job sector and affordable housing, Huntsville real estate is really a bubble within a bubble. Amid chatter of a potential housing market crash looming in the near future nationwide, we have great news! 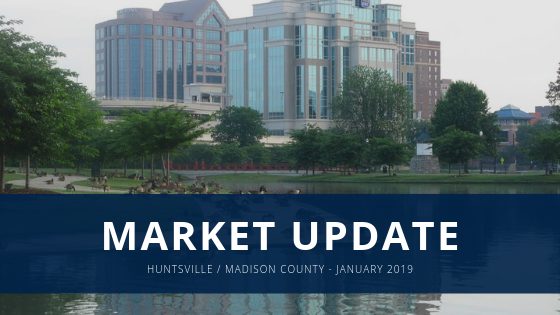 Huntsville/ Madison County has maintained a stable market and is predicted to continuously prosper. Our market is hot, and only getting hotter! Our North Alabama / Tennessee Valley area’s housing market has appreciated 9.2% over the past 12 months. 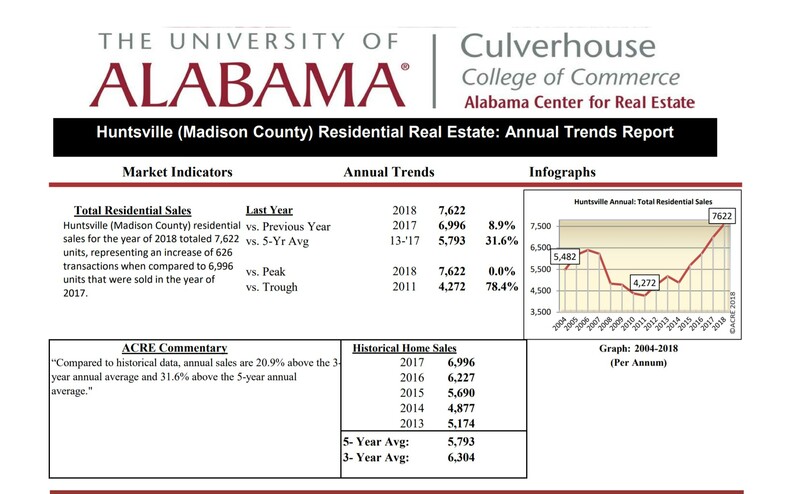 Madison County hit an all-time high of 7,200 units sold 2018 adding up to $1,685,956,505 in sales volume. [For those curious about our ENTIRE North Alabama / Tennessee Valley area, we saw 15,818 units close, which totaled $3,018,278,278,676 in sales volume.] Another great news tagline: we were very proud to see that Huntsville was ranked #1 nationwide for home buyers having the least amount of debt in 2018. Just another identifier of how we are certainly living in one of the brightest cities in the country. While property appreciation is great for a home seller, home affordability is becoming more difficult in certain areas and price points. Price increases combined with rising interest rates could hinder younger home buyers from being able to qualify to purchase. What is the solution for younger home buyers? Be prepared and educated before looking at home. Your agent and lender are the keys to helping you achieve your goals. Take advantage of our free, no obligation Buyer’s Consultations, where we go over the home buying process and work towards making a smart purchase. We will customize a plan once we have established your needs. By teaming with excellence, you can be on the pathway to wealth and home ownership. Home Sellers, we are here for you as well. Our technology and marketing have increased with the new year, and we have seen more of our homes recognized outside of our own state than ever before. What this means to you, is your home is being seen by more people, quicker, and selling for top dollar, on time! Our relocation team has been working overtime to keep up with the demands of incoming moves. Email or call us today for a customized plan and highest price analysis for your home. If you’re looking to buy or sell in 2019, get in touch with an Amanda Howard Sotheby’s International agent and let them help you reach your real estate goals.